Auto upgrade to EXPRESS SHIPPING reach you 2-4 days !! Do Check out our Pouches is free personalize name on pouch + free shipping to worldwide . - Express shipping 2-3 days , apply in normal address . ~~ DWR - Durable water resistant canvas is in shop now - Japan quality canvas , please check on shop SECTION . 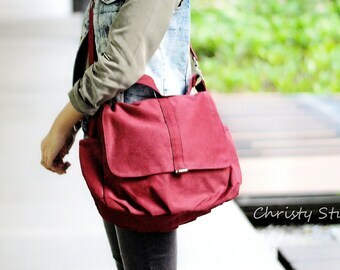 ChristyStudio are specialize handmade canvas bag , waxed canvas and leather craft in our studio and make all the bags with love and care. We made every single bag with special care from beginning to finished and sure we are small team to present reasonable price match with great quality product . Our loyalty customer are very satisfied to order bag by bags for the couple of years till now . 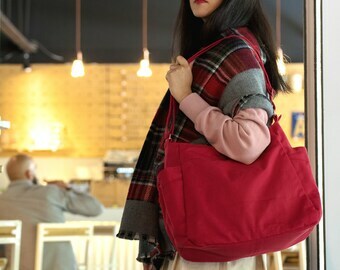 Please check our review to get some idea have chance to carry our handmade bag . Thank you for support handmade !!! enjoy shopping !!! Arrived super fast and the bag was exactly as described. It can carry many things so I take it to library, or carry my baby necessities when I go out with my kid. It’s very well designed and made by durable material and it doesn’t make your shoulder tired. Wow! I ordered this bag on the 21st and received it on the 25th. Absolutely amazing that it got here so quickly. I love, love the design and the quality is fantastic. I wish I had found Christy earlier rather than waste money on a flimsy backpack at a US retailer when I could have such a quality made item as this bag. It's durable, well-made, and light weight. I was concerned that it might not be large enough for my travels so I ordered a second bag from Christy. 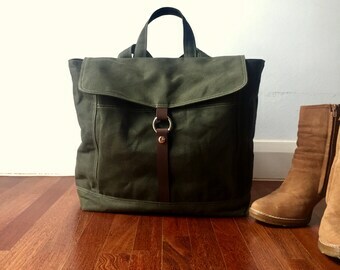 It wasn't necessary as this bag is the perfect size for weekend travel. Actually, I could probably pack it for a week as I travel light. Definitely will be coming back for more bags. Oh, and I received a gift pouch! Thank you! Love what you do . Do what you love . I love my job !! Happy women day !! Video shooting !! Media in the house , our lovely home studio ! We are working our new studio look weekender happy work ! The Tanya backpack is a part of my hose decor , love the look ! do you ? We do offer personalize name on the Kelly pouches , and on the bag as well wellcome conversation for quote !! With a love for designing and creating handmade bags, an idea was brought to life by christy and her assistance in her home studio. The ultimate goal is to make quality items that brighten up your everyday life. All the designs are inspired by our surroundings, are intimately designed and carefully selected. Not only creating timeless items but also adding some pleasing elements for you. christy studio has everything you need to fit your individual lifestyle. Welcome to christy studio, with a love for designing and creating handmade bags, an idea was brought to life by christy in her home studio. The ultimate goal is to make quality items that brighten up your everyday life. All the designs are inspired by our surroundings, are intimately designed and carefully selected. Not only creating timeless items but also adding a touch of pleasing elements for you. Returns and exchange are accepted. Should you not be satisfied with your purchase(s), please contact me within 3 days of receipt. Shipping fees is not refund to you for the return or exchange , because the shipping fees are charge by shipping company , once we use the service , cannot be return . Return both ways shipping fees are done by buyer( must with register mail, it help track the package and for the reference ) Means we are not accept the return package without tracking number . At lease have reference number mail , we can track and proof . *custom made items are not refundable. * we accept Paypal as payment. * Also accept e-check, items only ship after e-check has been cleared. * Will accept Maybank and Public bank funds transfer, please contact me before purchase . = Most of country are express shipping , to your address only 2-5 business days. = Please leave your phone numbers on the order page ( it is required for courier delivery company ) I need it to print on shipping slip . =Packages need to be signed for upon delivery. = P.O.BOX , APO BOX address, Maxico , Russia , Brazil will ship with regular mail , shipping time is about 2-6 weeks. sometime is up to 8 weeks, so sorry that we cannot control the normal register mail traffic , I know is hard for the waiting time . = Post Malaysia tracking number will '' RR.......MY '' , it will be link to your local post office , if the item not arrived you after one month , please call or go to your nearest local post office to claim the package with the tracking number I provide. = Phone number are require from shipping company , please leave the number in the message to seller or convo me . =DHL Global Mail tracking number will be '' RX---------DE '' etc .... it will be link to your local post office to be generated to other tracking number . if the item not arrived you after one month , please call DHL Global Mail or your nearest local post office to claim the package . *** I will e-mail the tracking info upon shipment ( you will received the e-mail send form christystudio, but if you have not heard from me please feel free to get in touch and I'll email it right away. *The recipient may be charged all applicable duty, taxes, and/or brokerage fees C.O.D. in the local currency at the time of delivery. All taxes, duties and customs fees are the responsibility of the customer. Tax and duty amount is presented during delivery, not during checkout. Your local post office or carrier will be able to provide you with further information. I am not responsible for items not received if you provide an incorrect address. Normally i ship following your etsy address, not a paypal address. If your etsy & paypal addresses are not the same please e-mail me the correct address, otherwise there will be a delay with the shipment date. After payment is received the item will ship to you between 7-10 DAYS. 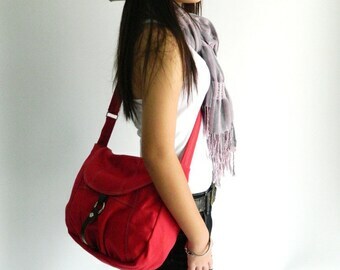 Most of our products are made by Canvas /waxed canvas cow hide leather and vegetable tanned leather. cannot be machine washed or dryed, The best option is to hose off with cold water and hang dry. ●To remove dirt, you can wipe the fabric with a moistened sponge carefully. ●To clean stain on the canvas, you can use a clean, soft white cloth or toothbrush and dampen with water. Apply cloth or toothbrush in circular motion across spot. Be gentle, as hard rubbing on the fabric may cause spots. Use a soft white cloth to clean so that color doesn’t bleed onto canvas. ●If water does not remove spot, add a few drops of a mild, non-bleaching detergent like soap to your water and repeat circular motion on the canvas, rinse the cloth well and wipe away any soap residue to ensure no soap remains on bag. ●If washing is absolutely necessary, we recommend careful hand washing. Don’t use washing machine please. If hand washed, use warm water and a mild, non-bleaching detergent. Stretch the wet product and let it air dry completely in a cool place away from direct sunlight or heat. When the bag is almost completely dry, you can re-grease the leather details. ●Beware of light clothing as canvas color may come off with friction, sweat and water, the leather may dry out with hot and dry air. Please keep the product in a cool and dry place away from direct sunlight or heat. 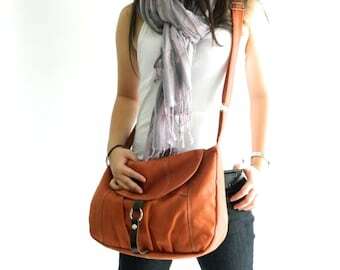 ~~Canvas and vegetable tanned leather are special materials which can reflect time. If the bag is taken care well, the color of canvas will bleed by days and the leather will age in a beautiful way. Every canvas bag will get its own unique look with time.